The 2014 Tour de Madison drew 413 cyclists and brought in over $17,000 dollars. After all expenses were paid, we were able to make donations of $4500 to the various civic groups that provide volunteer support. 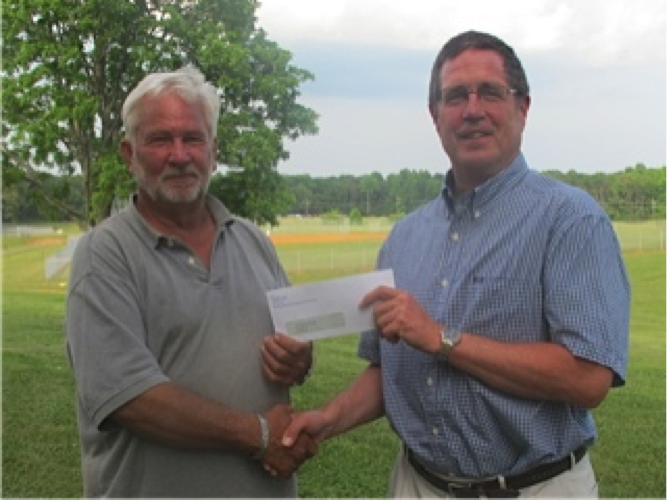 Barry Penn Hollar of the organizing committee presents a check of $1500 to Jerry Carpenter of Madison County Parks and Recreation Authority for ongoing development at Hoover Ridge. 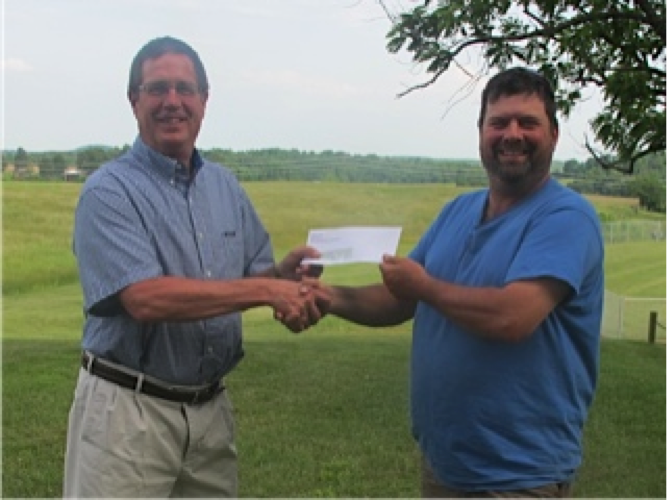 Barry Penn Hollar presents a check of $1000 to Hunter Seale of the Rochelle Ruritan Club for their college scholarship and J. L. Taylor Fund. 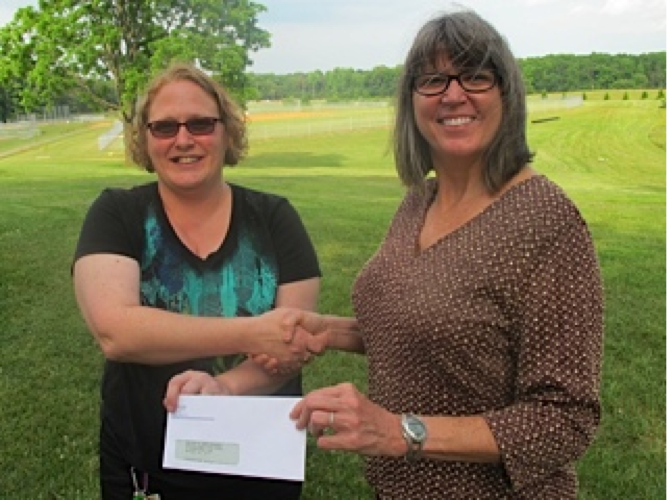 Iris Welsch of the Tour de Madison organizing committee presents a check for $410 to Angela Berry representing the Madison County High School Band Boosters. 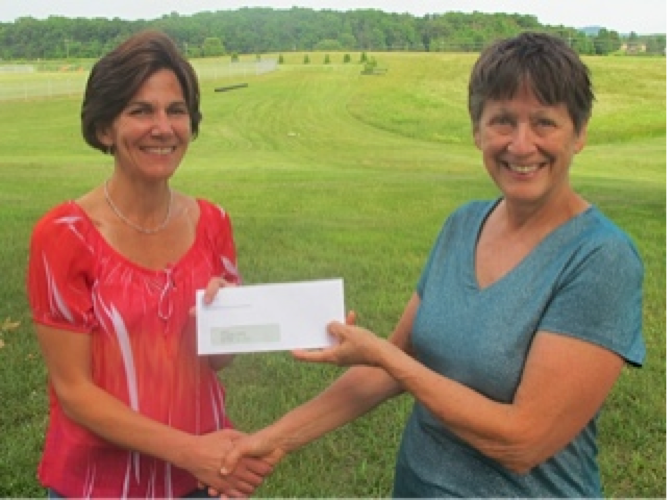 Jane Gray of the Tour de Madison organizing committee presents a check of $410 to Cathy McGhee of the Madison Women’s Four Miler group. 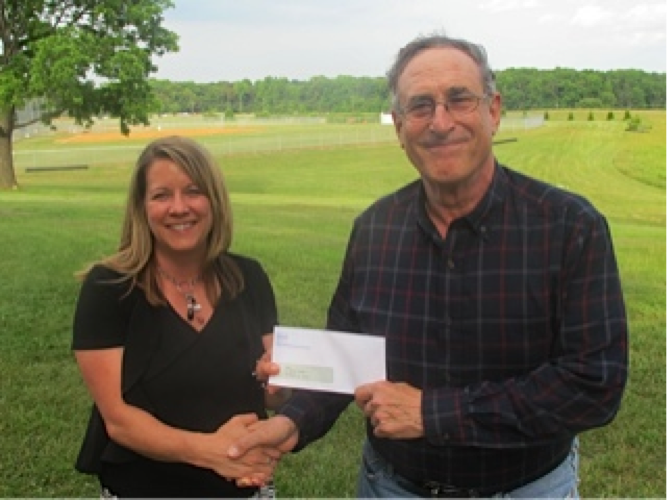 Donations were also made to the Culpeper Amateur Radio Association, which patrolled the route and provided necessary communication, and the Madison County Rescue Squad. This entry was posted in Tour News, Tours de Madison. Bookmark the permalink.